When I embarked on my graduate studies, my only previous contact with research had been through my physiotherapy training and 10 years of clinical practice. My impression of research at the time was that it was focused on either developing measures or trialing interventions. These types of studies did not address the kinds of questions I was keen to explore: how certain practices and assumptions operated and their effects on the recipients of healthcare. My initial introduction to theoretically-driven research was through a Masters degree in Bioethics, and my reading gradually expanded to other theoretical traditions in the social sciences. Theory opened up a way for me to interrogate health, disability, and rehabilitation in new and exciting ways that had real-world implications for practice, and which have shaped my research and teaching ever since. 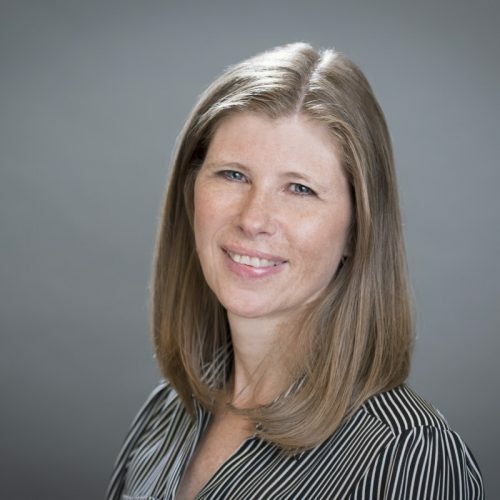 As I progressed in my academic career and began supervising my own doctoral students, I realized that there was a lack of available resources to help rehabilitation students (and clinicians) explore the theories and philosophies that provide alternatives to the bioscientific assumptions that dominate rehabilitation. For example, there were few alternatives to the view of the “body as a machine” that pervades rehabilitation literature. Recalling my own challenges as a student, I set out to develop a text that would provide an entry for rehabilitation students to engage with critical social theories and think through how to apply the ideas to their research and practices. Approaching these ideas can be daunting (and lonely without a community of practice), especially for junior researchers or clinicians who are new to social theory. Critical work, which I explain in detail below, involves translating ideas from the humanities and/or social sciences into healthcare contexts. While there is a growing corpus of critical scholarship in the health sciences, there is relatively little specific to rehabilitation to support these endeavors. In writing Rehabilitation: A Post-Critical Approach,1 I hoped to create a text that addressed this need. The book is structured into chapters that each examine a core concept in rehabilitation, how it came to be dominant, and its consequences. These are: disability, quality of life, (child) development, independence, and mobility. The problem of how disability is understood and addressed in rehabilitation is carried throughout the book. Drawing on scholarship in disability studies, sociology, anthropology, philosophy, cultural studies, and bioethics, the text aims to develop new ways of thinking, exposing readers to different ways of understanding disability and rehabilitation. In this article, I draw from the book to sketch out the main tenets of critical research (including my post-critical approach), and to make the case for why rehabilitation research benefits from a critical lens regardless of the focus of inquiry. The use of the term critical is often a source of confusion in that it has common lay usages (eg, acute, judgmental), pedagogical and clinical usages (eg, critical appraisal), as well as the philosophical usage that I describe here. Often but not exclusively associated with qualitative research, critical research draws on social, political, and cultural theories to guide inquiry and analyses. Criticality is expressed in different disciplines in unique ways and traverses fields of study including literature, art, geography, political science, cultural studies, disability studies, physics, and the health sciences, to name a few. The common imperative that links these diverse fields is a commitment to questioning the taken-for-granted. There are at least three core tenets that are common to all forms of critical research. These are: questioning the taken-for-granted, attending to power relations, and critiquing the dominance of positivism. I briefly outline each before working through an example of critical analysis applied to the concept of health related quality of life. The central tenet of questioning the taken-for-granted inherent in all critical work reflects the spirit and intent of the research enterprise in its broadest application. We often think of research as geared toward investigating the unknown and/or generating new knowledge, and in that respect, the best research is always oriented to moving a given field in new directions. Bold or “ground-breaking” research is willing to question the central premises that have both guided and constrained inquiry, to seek that fresh idea that turns a field on its head. For example, think of how Albert Einstein’s work forever altered theoretical physics, or the major shifts in how pain is understood and investigated in health research. These shifts required an openness to questioning received wisdom—not only in regard to substantive “facts”, but also to dominant methodologies. Importantly, critical researchers are not only creative and questioning, but also concerned with who has the power to determine and perpetuate particular ways of knowing. They are committed to addressing injustices within the research process, whether at the macro-level of institutions and funding, or the micro-level of how study questions are formulated, participants are chosen, and findings interpreted. In my view, these commitments are important for all research and can only enhance rehabilitation inquiry as it continues to grow in exciting new directions. I have already stated two important tenets of critical work—questioning assumptions and attending to power relations. I now turn to a third tenet—critiquing the dominance of positivism.4,5 Positivism dominates health research. It underpins the scientific method and its assumptions of a stable reality that can be objectively discovered or determined. Bioscientific research assumes that phenomena such as, for example, health, pain, depression, disability, or quality of life exist in exactly the same way whether we understand them correctly or not. The assumed task of scientific research is to uncover this underlying reality and establish relationships of cause and effect. Positivism emphasizes that science is objective, rational, neutral, and value-free—and separate from the particulars of time and place or emotional, subjective, or political viewpoints.6 Most health and rehabilitation researchers (and clinicians) are trained in the scientific method and taught to apply its principles to clinical practice through imperatives such as evidenced-based practice.7 Positivist bioscience is the dominant paradigm in research but is only one way of investigating phenomena among a host of other (marginalized) methodologies. The common features of critical research that I have outlined—questioning assumptions, attending to power relations, critiquing the dominance of positivism—have implications for all rehabilitation research. They highlight the importance of analyzing how contemporary practices grew from contingent historical assumptions, and in so doing suggest alternative areas of inquiry, new ways of producing knowledge, and different ways of examining common issues in rehabilitation. A final example from the field of prosthetics helps to situate the wider applicability of critical approaches beyond “social” research. Recently the imperative to design life-like prosthetics has been questioned and set aside to address other principles and goals. For example, fit-for-purpose Cheetah blades are used by competitive track athletes, and ice-axe hands are available for climbers. 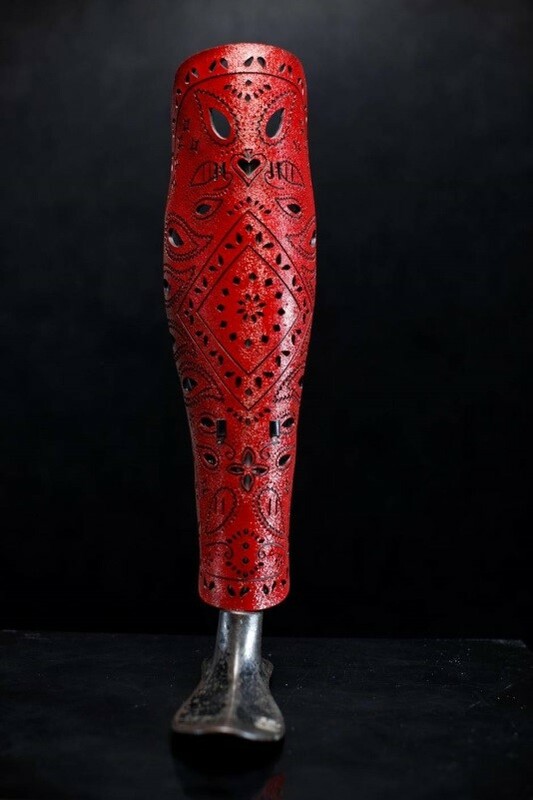 Moreover, all kinds of bespoke prostheses are available that provide a mode of individual expression more reminiscent of functional art than biological body parts (see for example the “fashion-forward prosthetic leg covers” of ALLELLES). What do these prosthetics have to do with critical research? Each of these designs is the result of questioning entrenched assumptions about disability. The notion of creating a life-like prosthesis relies on an assumption that impairment is a problem that needs to be fixed and that the best fix is one that as closely as possible mimics “normal” functioning and aesthetics. The new designs challenge these assumptions to produce a richer diversity of options for amputees. Moreover they contribute to efforts that question the goals of “restoring to normal” that are pervasive in rehabilitation and inadvertently marginalize people while intending to help them. In this brief article, I have drawn from Rehabilitation: A Post-Critical Approach to sketch out the tenets of critical research, and suggested that these tenets have implications for all rehabilitation research. Several valuable resources are available that provide a more in-depth introduction to critical approaches5,10,11,14 and a growing corpus of applied critical rehabilitation research and scholarship,15-28 including in the pages of this journal. Finally, the Critical Physiotherapy Network has recently published Manipulating Practices: A Critical Physiotherapy Reader, an open-access collection of critical work. Critical work is intentionally disruptive, seeking to challenge ossified ideas in order to foment real world change. Rehabilitation as an enterprise dedicated to helping people not only survive but thrive continually wrestles with how to support human flourishing. I argue in my book that this work cannot be achieved without surfacing some of the problems that arise within the limited bioscientific framings of rehabilitation. I do so, however, not as a theoretical exercise, but to help move the rehabilitation field toward better practices that help people live well. Doing so will require a collective effort of practitioners, researchers, and educators, and meaningful partnerships with the recipients of rehabilitation services. Editor’s Note: An abridged version of this article was first published in RehabINK digital magazine on Oct 11, 2016. Gibson BE. Rehabilitation: A Post-Critical Approach. Boca Raton, FL: CRC Press; 2016. Hammell KW. Perspectives on Disability and Rehabilitation. Edinburgh, Scotland: Elsevier; 2006. Guillory J. Cultural Capital: The Problem Of Literary Canon Formation. Chicago, IL: University of Chicago Press; 2013. Agger B. Critical theory, poststructuralism, postmodernism: their sociological relevance. Ann Rev Sociol. 1991:105-131. Eakin J, Robertson A, Poland B, Coburn D, Edwards R. Towards a critical social science perspective on health promotion research. Health Prom Int. 1996;11(2):157-165. Mehta N. Mind-body dualism: a critique from a health perspective. Mens sana monographs. 2011;9(1):202. Holmes D, Murray SJ, Perron A, Rail G. Deconstructing the evidence-based discourse in health science: truth, power, and fascism. Int J Evid Based Health. 2006;4:180-186. Rapley M. Quality of Life Research. London, England: SAGE; 2003. Koch T. Life quality vs ‘quality of life’: assumptions underlying prospective quality of life instruments in health care planning. Social Sci Med. 2000;51:419-427. Danemark B, Ekstrom M, Jakobsen L, Karlsson JC. Explaining Society. London, England: Routledge; 2002. Kincheloe JL, McLaren P, Steinberg SR. Critical pedagogy and qualitative research: moving to the bricolage. In: Denzin NK, Lincoln YS, eds. Handbook of Qualitative Research. 3rd ed. Thousand Oaks, CA: SAGE Publications Inc.; 2011:163-178. Gutfleisch O. Peg legs and bionic limbs: the development of lower extremity prosthetics. Interdiscip Sci Rev. 2003;28(2):139-148. Murray CD. Being like everybody else: the personal meanings of being a prosthesis user. Disabil Rehabil. 2009;31(7):573-581. Harvey L. Critical Social Research. London, England: Unwin Hyman; 1990. Bjorbækmo WS, Engelsrud GH. Experiences of being tested: a critical discussion of the knowledge involved and produced in the practice of testing in children’s rehabilitation. Med Health Care Philos. 2009;14:123–131. Fadyl J, McPherson K, Nicholls D. Re/creating entrepreneurs of the self: discourses of worker and employee ‘value’ and current vocational rehabilitation practices. Sociol Health Illn. 2015;37(4):506-521. Kinsella EA, Whiteford GE. Knowledge generation and utilisation in occupational therapy: towards epistemic reflexivity. Aust Occup Ther J. Aug 2009;56(4):249-258. Nicholls DA. Foucault and physiotherapy. Physiother Theory Pract. Aug 2012;28(6):447-453. Gibson BE, Teachman G. Critical approaches in physical therapy research: investigating the symbolic value of walking. Physiother Theory Pract. 2012;28(6):474-484. Magasi S. Infusing disability studies into the rehabilitation sciences. Top Stroke. 2011;15(3):283-287. Njelesani J, Teachman G, Durocher E, Hamdani Y, Phelan SK. Thinking critically about client-centred practice and occupational possibilities across the life-span. J Occup Ther. 2015;22(4):252-259. Papadimitriou C. Becoming en-wheeled: the situated accomplishment of re-embodiment as a wheelchair user after spinal cord injury. Disabil Soc. 2008;23(7):691-704. Parry RRH. The interactional management of patients’ physical incompetence: a conversation analytic study of physiotherapy interactions. Sociol Health Illn. 2004;26(7):976-1007. Phelan SK. Constructions of disability: a call for critical reflexivity in occupational therapy. Can J Occup Ther. 2011;78(3):164-172. Setchell J, Watson B, Jones L, Gard M, Briffa K. Physiotherapists demonstrate weight stigma: a cross-sectional survey of Australian physiotherapists. J Physiother. 2014;60(3):157-162. Struhkamp R, Mol A, Swierstra T. Dealing with in/dependence: doctoring in physical rehabilitation practice. Sci Technol Human Values. 2009;34(1):55-76. Trede F. Emancipatory physiotherapy practice. Physiother Theory Pract. 2012;28(6):466-473. Winance M. Trying out the wheelchair: the mutual shaping of people and devices through adjustment. Sci Technol Human Values. 2006;31(1):52-72.